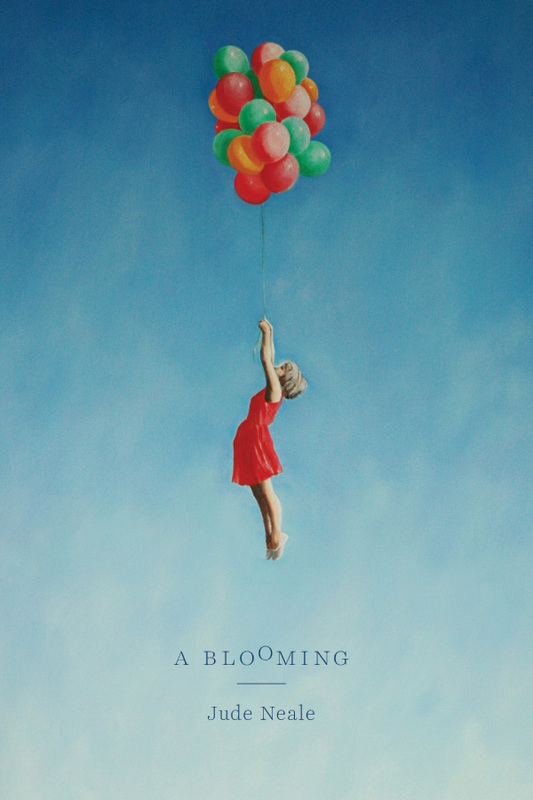 ﻿A Blooming, by Jude Neale, is a collection of poems that capture the intricacies and intimacies of relationships. It speaks of birth and dying with the same awe. Jude takes the simple mundanity of life and turns it into a vibrant tapestry. Her words of love shimmer and lend surprise and comfort to the reader. She uses metaphor to create strange and wonderful poems that delve into the human heart, without sentimentality or excess. Humanity and connection weave together against the powerful juxtaposition of frailty and strength. A Blooming delights the senses and provides sustenance to the weary soul. Steeped in sensuality, rife with bad girls, deft analogies, monumental women, visceral and audacious odes to love, Neale holds back nothing. ﻿Jude Neale displays an allowance for the appreciation of affection, disaffection and subtle comedy all in the same stanza. Add in the economy of word and control of imagery and you have quite an agile trick – which makes Neale’s writing a fine discovery. Amid the courageous and fascinating play with rhyme, a finely metered warning to all who enter these pages, there is a singular mood artist at work. Jude Neale’s latest collection of poetry has taken her writing to another level. Be prepared for these images to stay with you for a very long time. The power of her words is found in the depth of the relationships she depicts, whether it be a father, mother, lover or child. As you turn each page you will be swallowed further into her loving, full and blooming world, and not be able to escape the ultimate beauty of this verse. Jude Neale is a Canadian poet, classical vocalist, spoken word performer and mentor. She has been shortlisted, highly commended and finalist for many international and national competitions. Jude has written seven books, but enjoys giving readings most. Her book A Quiet Coming of Light, A Poetic Memoir (leaf press) was a finalist for the 2015 Pat Lowther Memorial Award. She won publication in Britain, Splendid in its Silence, (SPM publications) in 2017. In 2018, Jude and Bonnie Nish started an online collaboration which lead them to write Cantata in Two Voices (Ekstasis Editions) in fifty challenging days. Her forthcoming book We Sing Ourselves Back (leaf press) will appear in 2019. Jude recently collaborated with Thomas RL Beckman, the great viola voice of BC . He composed the music, The St. Roch Suite, for the Prince George Symphony Orchestra. Jude performed her poetic prose narrative before the start of each movement. She got accepted into Vancouver’s International Art Song Lab and wrote the text to original music for a professional singer and pianist. This piece was published and performed. She loves the log channel.